This excellent article, appearing in the March 2018 issue of the Clinical Journal of Sports Medicine highlights 17 years of clinical experience of the World Surfing League’s (formerly ASP) medical director, Warren Kramer, MD. Dr. Kramer, an orthopedic surgeon in Newport Beach, CA has long been the go-to physician for professional surfers around the world. Eric Hohn, MD, Sean Robinson, MD et al retrospectively analyze 163 acute and chronic orthopedic injuries among professional surfers treated by Dr. Kramer at a single orthopedic center. This is one the few published studies to focus on elite surfers. Researchers focused on anatomic site of injury, type of injury, surgical interventions, and changes in injury patterns pre and post 2005, after which aerial maneuvers became more commonplace. Before 2005, shoulder injuries accounted for 35% of all injuries seen among pro surfers by Dr. Kramer, whereas after 2005 injuries to the lower extremity (knee 28%, ankle 26%) predominated, presumably as a result of hard landings from aerial maneuvers. Over the study, period 61% of injuries occurred to the surfers back leg, with ankle sprains, meniscal tears, and high ankle sprains most common. Medial collateral knee injuries accounted for 62% of front knee injuries. Shoulder injuries were more prevalent among older surfers, and were the most likely injuries to require surgery, followed by hip injuries. 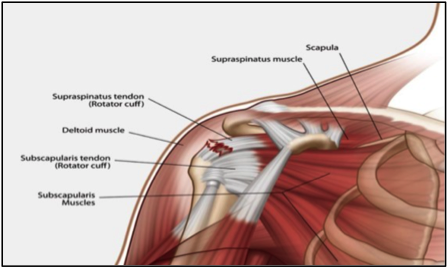 Among shoulder issues, instability (48%), rotator cuff tears (42%), and superior labral anterior-posterior tears SLAP (35%) were most common with many having overlapping pathology. Click here for a link to the abstract.